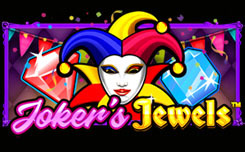 Joker’s Jewels produced by Pragmatic Play is a very simple slot machine that has 5×3 reel set and just 5 fixed bet lines. 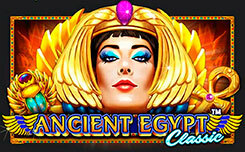 The developer has mixed modern and retro styles and as a result, Joker’s Jewels will remind you of both old and latest slot titles. The paytable is right above the reels. 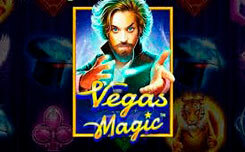 There are no bonus features, wilds and other exciting options that increase your chances of winning. But despite being very simple, this video slot feels great. 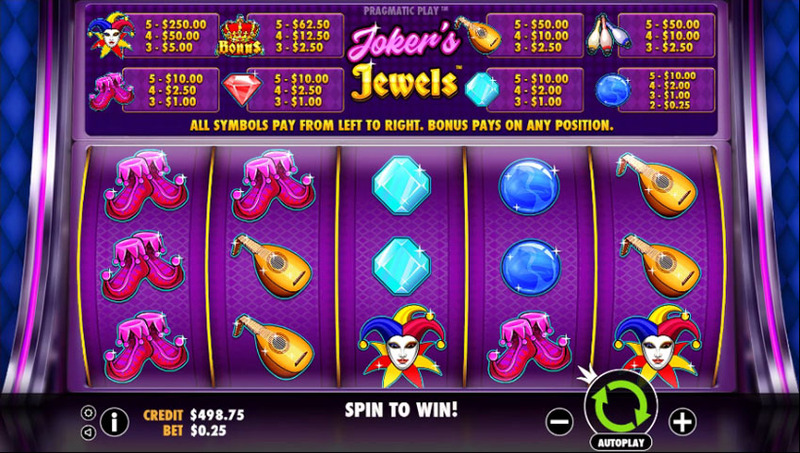 Fun music, shiny elements and nice payouts make Joker’s Jewels quite engaging. Symbols pay only left to right. Joker is the highest paying symbol. Then comes Bonus symbol (crown), which doesn’t trigger any special feature. 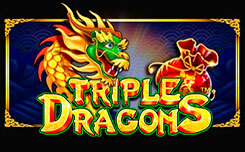 If you see three crowns, you get paid regardless of their position on the reels as crown is a scatter. There are several other Joker related items and a few types of jewels. At least three of the same symbols must land on adjacent reels from left to right to form a winning combination. Only round jewel will award some credits when two of them appear on a bet line. Joker’s Jewels offers advanced Autoplay settings. 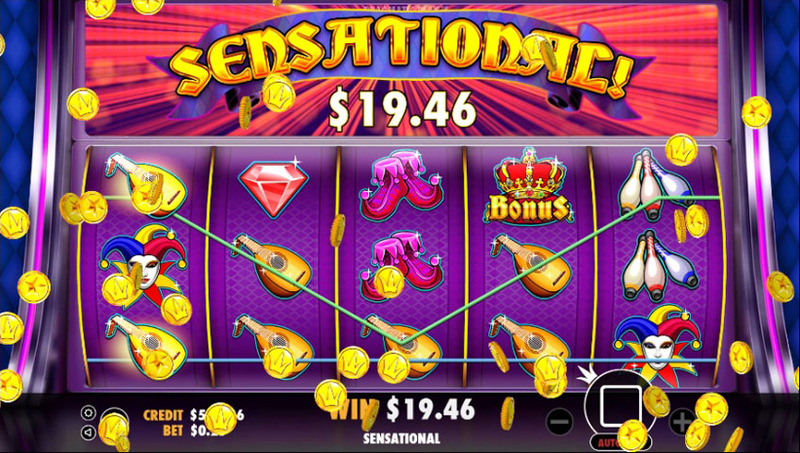 Players can set the number of spins and choose between several options of when to stop the mode. 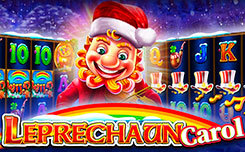 If you would love to try other similarly themed slot machines, we recommend loading Wicked Circus by Yggdrasil. It’s a wonderful, engaging game with unique Jokerizer mode. Another great choice is Joker Strike by Quickspin that offers one outer wheel and a chance of hitting huge wins.